I am currently working with Mindstix Software Labs as Data Scientist. At Mindstix I am working as Computer Vision researcher for billion dollar client, who deals in beauty prodcuts. Previously I was working on Recommendation Engines for Retail. 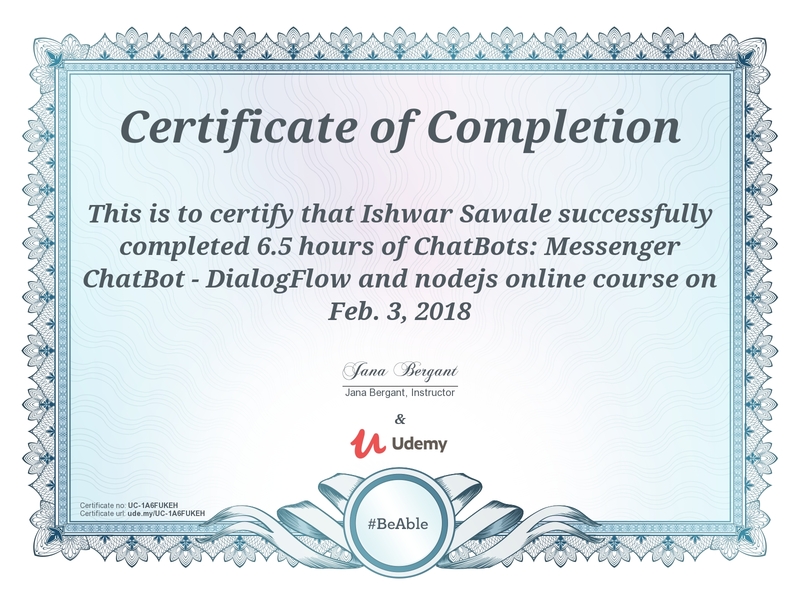 I have also developed Chatbot based on RASA framework which then I integrated with Slack and Face Recognition System which is hybrid of Facenet and Dlib. Previously I was working with Coriolis Technologies Pvt Ltd. I have developed and maintained the number of applications in Coriolis such as License plate recognition engine, SOAP-API client in C, AMI automation tool for AWS CLI, Orchestration tool for Puppet, Chef & Ansible written in Ruby On Rails. Other than development, my responsibilities at Coriolis includes working as Scrum master, leading the small team of Developer and QA members. My area of research is Artificial general intelligence(AGI). I am working on an application of reinforcement learning to create a Cognitive systems. 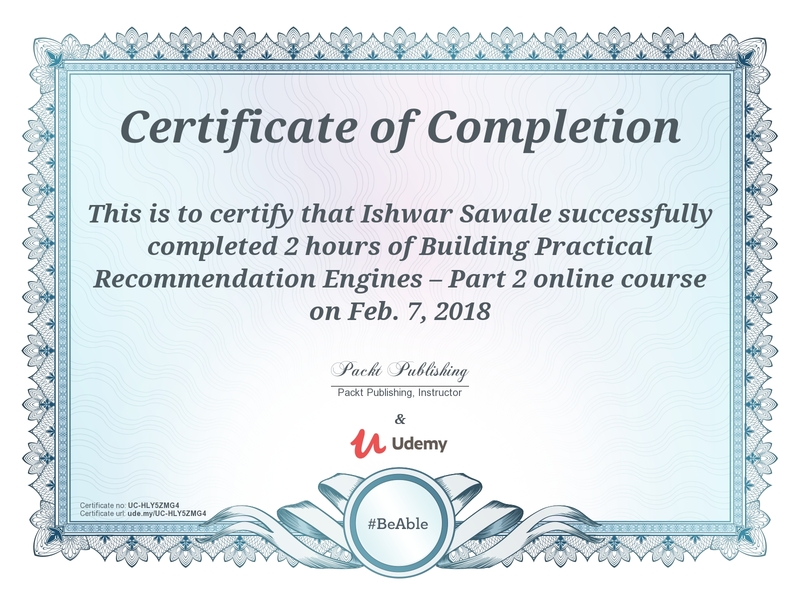 I have completed Diploma in Big Data Analytics and Bachelor of Engineering from University Of Pune. 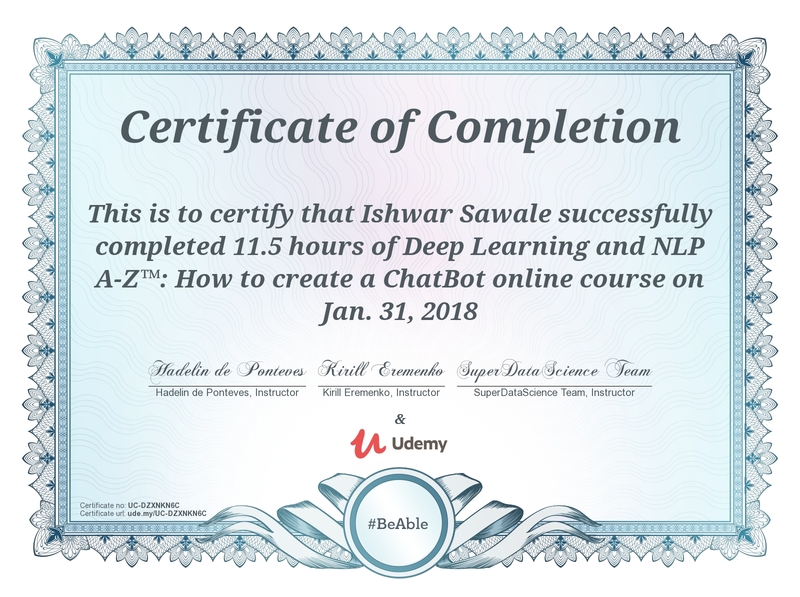 I am a quick learner and enthusiastic about learning new technologies. I am working with C, Python, Java, R, Kotlin, Bash, Go language for my development purpose. I have also worked on some hobby projects such as developing apps in Kotlin for android platform, real-time image classification in an android app by training machine learning model on the server and recompiling it using TensorFlow for Android, another one is creating real-time face recognition using facenet as backend. In my free time I like to work on interesting projects in Data Science domain. 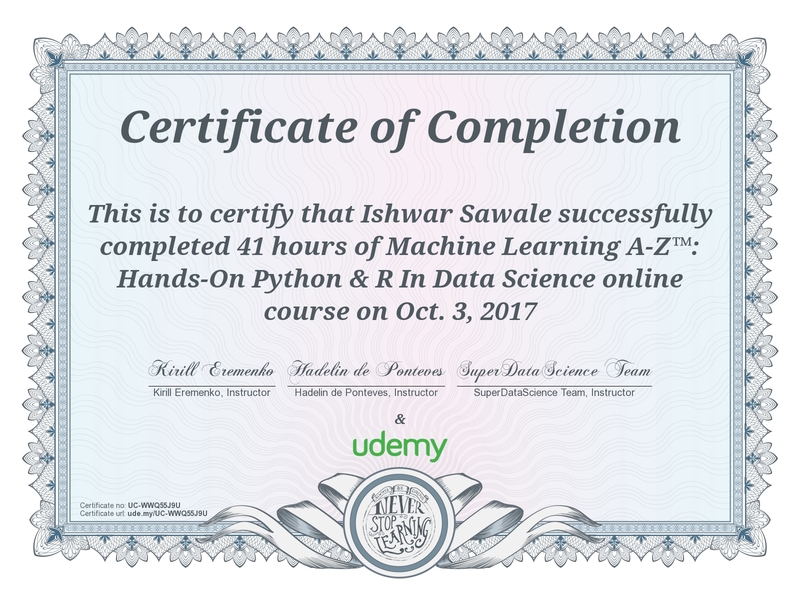 I also have completed courses related to Machine Learning, AI from Udemy, Coursera. Recently I have open sourced a Face Recognition library based on Facenet Named as facenet_recognition. Colour Constancy Algorithm research for multi-ethnicity & different illumination condition for the client. Question Answer based Chatbot system research & development, the bot can retrieve answers for users query from unstructured data of the website. Festival Recognition Android App, in which I trained model for Festival Recognition like Holi, Diwali, Eid etc. Then Optimized it for an android app which is used as a local resource for festival classification. Cancer Survival Prediction in this project based on the dataset we use to predict survival of patients. Rails REST API development for an android app. I have worked with Classification Problems such Titanic: Machine Learning from Disaster, Otto Group Product Classification Challenge, Imbalanced classes. Some of the regression problem I have worked on House Prices: Advanced Regression Techniques, Loan Prediction. There are other projects that I have worked with some of them are NLP, Collaborative filtering Recommendation System. I have worked with computer vision problems such as building License Plate Recognition for Indian License Plate, where the width of the license plate is not fixed, digit dimension and font is not fixed so built ocr and detector for it. I have also created Real-Time Face Recognition Engine using Facenet, which can detect faces and assign the label to it from the trained model. There are some projects where I have reatrained and optimized it for an android app. For some time I was working on Android Mobile Development using Java as well as Kotlin, I have created some basics app for Android platform. I have also implemented Machine Learning models in an android app as the local resource such as Festival Recognition App in which Indian Festival are classified such as Holi Diwali etc. 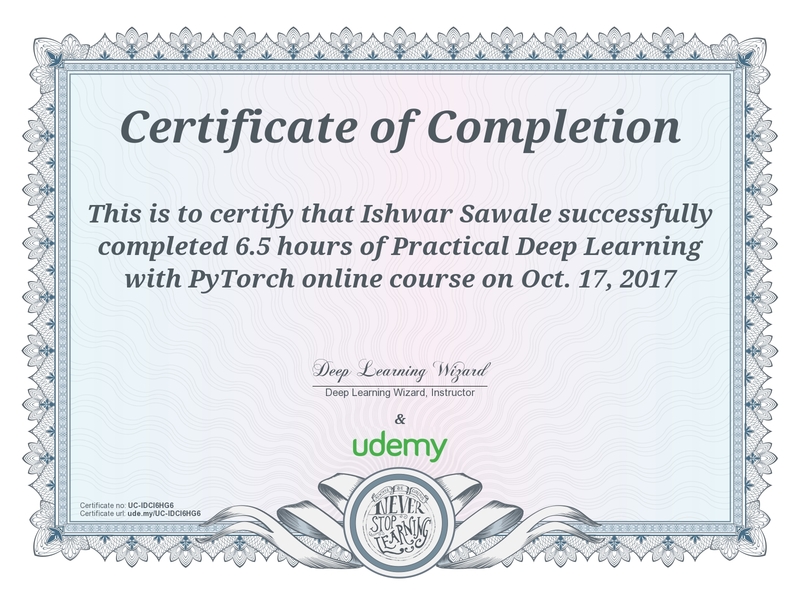 I have used Keras and Tensorflow for ML model development. I was working with a client to do some specific task with Puppet, Chef and Ansible configuration managers, in which using Rails where the user can input job in json for any of above configuration managers. 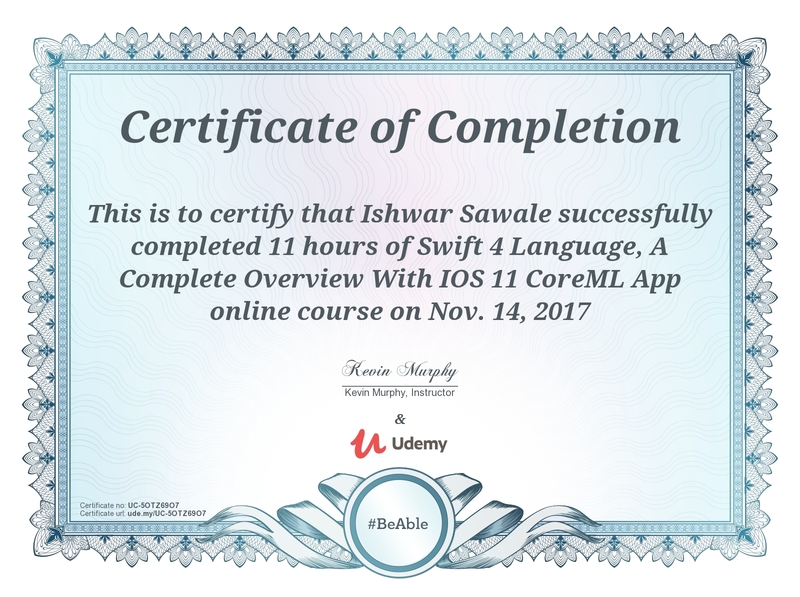 For my development task, I use language suitable for the task. I have created a REST client using Golang for the specific use case. 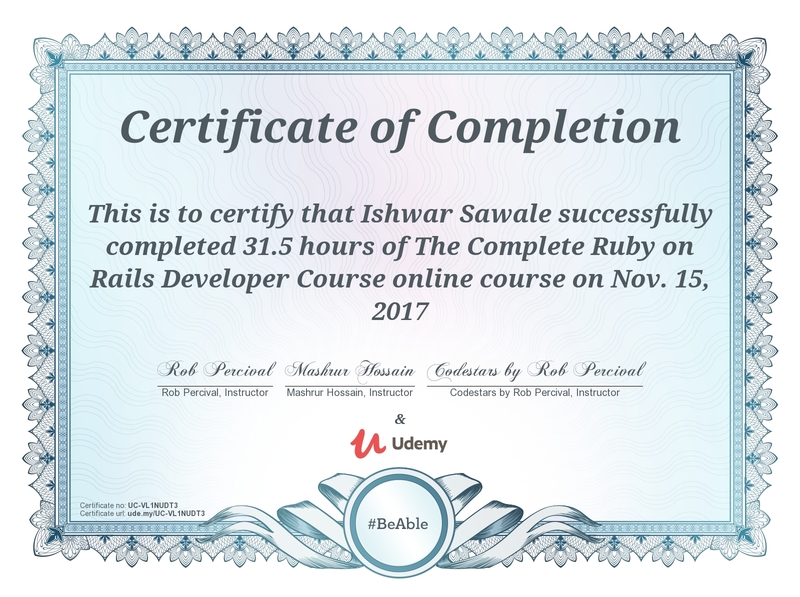 I have worked with Ruby on Rails for two years in which I was developing REST API using Rails as backend. I always try to improve my communication skills. I like to work on new technologies and ready to deal with any challenges. Thist app detects faces in video and predicts whose is it. Facenet model is retrained for my dataset.